In anticipation of the TU Dance 15th Anniversary Spring Concert at The O’Shaughnessy on May 3-5, 2019, please join Artistic Directors Toni Pierce-Sands and Uri Sands for an informal in-studio showing celebrating TU Dance’s 15th anniversary performance season. The showing will feature excerpts from the spring concert program, an unprecedented evening of works by legendary choreographers that have given form to the shared vision of TU Dance founding Artistic Directors Toni Pierce-Sands and Uri Sands. The performance program will include two works by renowned modern dance pioneer Alvin Ailey. Night Creature (1974), “a bubbly champagne cocktail of a dance”, celebrates Duke Ellington’s “sparkling music”. In Witness (1986), inspired by a recording of traditional spirituals sung by Jessye Norman, “…a female soloist embarks on a spiritual journey that echoes the repeated lyric ‘my soul is a witness for my Lord.’” The program also features Urban Bush Women Founding Artistic Director Jawole Willa Jo Zollar’s Walking with Pearl…Africa Diaries (2004)—a tribute to dance anthropologist Pearl Primus—narrated live by Ms. Zollar during the TU Dance performances, and a reprise of Ronald K. Brown’s Where The Light Shines Through (2017) originally created for TU Dance, which tells a story of solidarity and perseverance. Doors open at 5:00pm. Showing begins at 5:30pm. This event is free and open to the public. TU Dance’s 15th Anniversary Season is supported in part by generous gifts from the Rosemary and David Good Family Foundation, The Saint Paul Cultural STAR Program and the Markell C. Brooks Fund for Dance of The Minneapolis Foundation with production support from The O’Shaughnessy. TU Dance Center is located at 2121 University Avenue West, Saint Paul, Minnesota 55114. Find us on the north side of University Avenue, one block east of Vandalia, located directly behind Subway on the building’s east side. Limited parking is available in the lot in front of TU Dance Center. Additional parking is available in the Subway overflow parking lot located east of the TU Dance Center parking lot and in the north side lot accessible by taking a right on Vandalia and a right on Charles. TU Dance is seeking guest choreographers for the 2019-2020 Season. Interested Choreographers should submit their materials to gemma.isaacson@tudance.org, including CV/résumé, work sample and a minimum of two personal references. Please include information about any upcoming performances of your work as it may be possible for the Artistic Directors to attend. Interviews are by invitation only. The Artistic Directors will make a pre-selection based on the materials you provide. Only those choreographers selected in the pre-selection process will be contacted for an interview. TU Dance is now considering dancers for the 2019-2020 Season. Interested Artists should submit their materials to gemma.isaacson@tudance.org, including CV/résumé, work sample (YouTube or Vimeo links only), headshot and a minimum of two personal references. Please include information about any upcoming performances as it may be possible for the Artistic Directors to see your work. In-person auditions are by invitation only. The Artistic Directors will make a pre-selection based on the materials you provide. Only those dancers selected in the pre-selection process will be contacted for an in-person audition. In a typical Ernie Barnes painting, bodies coil around some physical feat—mid-stride, mid-breath, or mid-air. Clothes ripple. You can almost hear the bright colors. Barnes, born in the Jim Crow South in 1938, was also a professional football player. With paint, he captured scenes of springy athleticism while often illustrating his views on the leaps and pitfalls of the African American experience. The Ordway Center for the Performing Arts commissioned TU Dance for the first time in 2011, and choreographers Toni Pierce-Sands and Uri Sands came up with a show inspired by the lissome, extended-limb elegance of Barnes’ work. Now, to celebrate the 15th anniversary of the contemporary dance company in St. Paul’s South St. Anthony neighborhood, that show, With Love, returns. It melds with the music of Donny Hathaway, jazz and blues legend from the ’70s. And it reminds us that, for 15 seasons, TU Dance has not only brought national attention to the Twin Cities’ dance scene (recently putting on a show with Bon Iver). It has also consistently and uniquely examined the body as it confronts narratives on gender and race. Like Barnes, TU Dance tackles important questions—about social justice, history, and human resiliency—with verve. TU Dance’s anniversary performance, on Saturday, October 27, at 7:30 p.m., also features a new retrospective work covering the company’s history since its 2004 founding. And eight dancers will perform Salve, a 2017 commission by Ballet Memphis, where grooves interlace to demonstrate healing through community. Before the show, artistic directors Sands and Pierce-Sands discuss how it came together. Afterward, in a 20-minute Q&A, they and company members open up. In anticipation of the TU Dance 15th Anniversary Fall Concert at the Ordway Center on October 27, please join Artistic Directors Toni Pierce-Sands and Uri Sands at TU Dance Center for an informal in-studio showing celebrating TU Dance’s 15th anniversary performance season. The showing will feature excerpts from the fall concert program, including a new retrospective work reflecting on the company’s rich repertoire of thought-provoking works as well as the Ordway’s first commission for TU Dance — With Love (2011), inspired by the paintings of African American artist Ernie Barnes and set to the legendary music of Donny Hathaway. Also on the program is Uri Sands’ Salve, a work that brings people together in hope from adversity, originally commissioned in 2017 by Ballet Memphis. Wednesday, October 10. Doors open at 5:00pm. Showing begins at 5:30pm. Refreshments to be provided. This activity is supported by a grant from the Good Family Foundation. TU Dance Center is located at 2121 University Avenue West, Saint Paul, Minnesota 55114. Find us on the north side of University Avenue, one block east of Vandalia, located directly behind Subway on the building’s east side. Limited parking is available in the lot in front of TU Dance Center. Additional parking is available in the Subway overflow parking lot located east of the TU Dance Center parking lot. The International Association of Blacks in Dance distributes a second round of MOVE (Managing Organizational Vitality and Endurance) grants to dance companies in 12 States across the U.S. The International Association of Blacks in Dance (IABD) has awarded $250,000 to 25 Black-led member companies throughout the United States. Each company has received an unrestricted INFLUENCERS grant of $10,000 for general operating expenses. IABD awarded the grants as part of its inaugural financial and organizational health program, MOVE: Managing Organizational Vitality and Endurance, which was generously funded by The Andrew W. Mellon Foundation. The COLLECTIVE Cohort, as they are called, is participating in a peer-to-peer online learning community that includes technical assistance, financial planning, organizational development strategies and training with the Nonprofit Finance Fund (NFF), as well as relevant and important discussions on issues facing these companies on a day-to-day basis. The COLLECTIVE kicked off its activities in July with an online webinar administered by IABD and NFF. The training includes access to information and tools that will support longevity and strengthen the capacity of these organizations to remain recognized artistic and thought leaders. In March 2018, IABD received a $2,636,000, multi-year grant award from The Mellon Foundation for Phase II of the organization’s Comprehensive Organizational Health Initiative (COHI). In partnership with the Nonprofit Finance Fund, this phase of the COHI program offers capital deployment, financial consultation, and technical assistance to participating IABD member companies. Responding directly to many of the lessons learned from Phase I activities (i.e. site visits, financial diagnostics, educational workshops), it serves as recommended next steps to strengthen IABD, Inc., its member organizations, and by extension, the field of Black dance. The collaborative nature of this program aims to ensure the vitality of the Black dance sector by addressing historic barriers, building parity among Black dance organizations that support and create work with differing aesthetics, and developing new organizational processes and practices for nonprofit arts organizations. For more information about the COHI program, please visit www.iabdassociation.org/COHI. 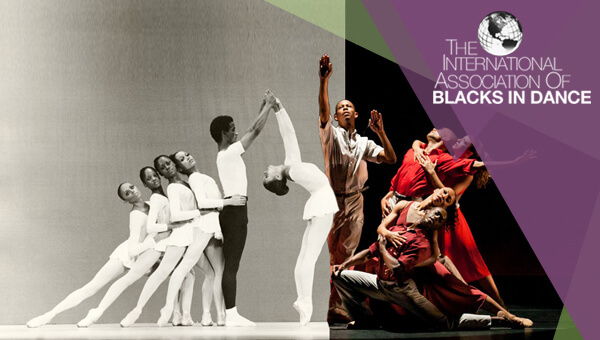 ABOUT THE INTERNATIONAL ASSOCIATION OF BLACKS IN DANCE: The International Association of Blacks in Dance (IABD) preserves and promotes dance by people of African ancestry or origin, and assists and increases opportunities for artists in advocacy, audience development, education, funding, networking, performance, philosophical dialogue, and touring. IABD has become the Mecca for Blacks in Dance, such as administrators, artists, choreographers, dance companies, directors, educators, researchers and scholars, and those interested in artistry, Black dance issues, and performance presentations. The Association, founded in 1991, provides a network, formal newsletters, choreographer’s directory, and published papers; it is the raison d’être for the annual conference and festival. The Association also responds to and initiates dialogue around issues that impact the Black Dance Community as well as the Dance community at large. IABD has developed national prominence and allowed the Black Dance Community to come together on important issues. 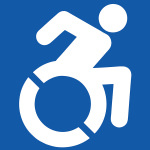 For more information on IABD visit iabdassociation.org. ABOUT THE ANDREW W. MELLON FOUNDATION: Founded in 1969, the Andrew W. Mellon Foundation endeavors to strengthen, promote, and, where necessary, defend the contributions of the humanities and the arts to human flourishing and to the well-being of diverse and democratic societies by supporting exemplary institutions of higher education and culture as they renew and provide access to an invaluable heritage of ambitious, path-breaking work. Additional information is available at mellon.org. ABOUT NONPROFIT FINANCE FUND: Nonprofit Finance Fund (NFF) advances missions and social progress in underserved communities through financing, consulting, partnerships, and knowledge-sharing that empower leaders, organizations, and ideas. A leading Community Development Financial Institution (CDFI), NFF currently manages over $310 million. Since 1980, we have provided almost $700 million in financing and access to additional capital in support of over $2.3 billion in projects for thousands of organizations nationwide. NFF is headquartered in New York City and serves clients from five offices across the country. For more information on NFF visit nff.org. Naeem, the name of one of the segments of Come Through, the collaboration between TU Dance and Bon Iver, commissioned by the St. Paul Chamber Orchestra’s Liquid Music Series. This excerpt was created by TPT as part of their MN Original Series. Come Through was supported in part by a grant from the Knight Foundation Arts Challenge St. Paul and from the City of Saint Paul Cultural STAR Program. Sdiah, the name of one of the segments of Come Through, the collaboration between TU Dance and Bon Iver, commissioned by the St. Paul Chamber Orchestra’s Liquid Music Series. This excerpt was created by TPT as part of their MN Original Series. Dancers: Amanda Sachs, Christian Warner and Elayna Waxse with the company. 1867, the name of one of the segments of Come Through, the collaboration between TU Dance and Bon Iver, commissioned by the St. Paul Chamber Orchestra’s Liquid Music Series. This excerpt was created by TPT as part of their MN Original Series. Dancers: Taylor Collier and Jake Lewis. Watch the beautiful mini documentary created by TPT for their MN Original series to be aired on TV later this fall. Come Through was commissioned by the Saint Paul Chamber Orchestra’s Liquid Music Series with support from the Knight Foundation Arts Challenge – Saint Paul and The City of Saint Paul Cultural STAR Program.